It was a great idea to use social networking for such a good cause. Glad I could be a part of it. Yay! Great job--made my Friday! It was very cool to be a small part of this! If this isn't proof of the power of social media, I don't know what is! Hi Beth, I loved being part of such a cool, quick little "good thing"! I've read your blog a few times in the past, but we've never "met" so, happy to meet you! 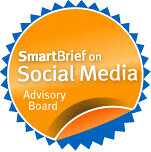 Congrats, looking forward to seeing your next non-profit via socnet endeavor unfold. It's wonderful to be part of something great! Found you through Chris's tweets. Congrats! - Wonderful thing for you to organize, and shows ability to use blogs for service, as well as info and conversations! How could we possibly say no to such a worthwhile cause? I'm happy to be a part of this. Friend of a friend to be sure..I see some familiar names on that list of donors from my Twitter friends list. I followed the Brogan breadcrumb trail initially but saw several Twitter buddies retweeting Chris's post. Beth, I'm glad I saw Chris Brogan's tweet about the project. What a great use of social networking. Kudos to you for putting this together. I am glad Chris told me about this. This is a great thing you are doing here! Hi Beth - congrats on making this time too! Glad to provide a little help! :) ~ Anol Bhattacharya. I'm offline for ONE DAY and you've already completed the campaign?! I just went ahead and contributed anyways--this is fabulous, Beth! Congratulations! Yeah, this was way cool. I've been swamped and completely missed it until yesterday. Next time, I'll be donating! Thanks for the thank you :) I was happy to be part of this once I heard about it! Wow! Look at all those wonderful people. Isn't it swell? It's nice to see the social network do something more than talk about last night's TV show, right? It's not that we have to be meaningful all the time, but it sure is nice to know that we can occasionally rise up and do something useful. : ) And only with the help of so many great people. What worked, by the way, is that the goal seemed so reachable, and that everyone's contribution was so small that everyone could feel it was manageable and non-threatening. Worked like a charm. "So, it took 24 hours, 53 people donating small amounts to change a young woman's life." Hi Beth,you do a very great job for your society.I hope you will keep your good job. p.s. Ironically, AHA is flying me to Dallas next week to discuss new media fundraising and teen/youth engagement, set up by Brian Reich, one of our Age of Conversation co-authors. Your success story couldn't be more timely, as I can now use your tweets & Truemors as examples of how media minutiae has shifted to productive purpose. Rock on! Hope to run into you at the She's Geeky Unconference. I'll try to find you and introduce myself! We're thrilled that we could help. Thanks to you guys for organizing it. I just contributed to get Chris Brogan to shut up about it on Twitter. JUST KIDDING. I was drawn in by Leng's story. Then, I was intrigued by the whole idea of your blog and by the power of Twitter. I have a friend in California who just started a non-profit to help schools in South America. It's amazing how far $1 can go toward making a real difference. Yeah! $2000+ Shall we try for a third?